Herbal Medicine: Ancient practice of home health care. Ayurveda, one of the oldest systems of medicine in the world, is still practiced throughout India. Instead of emphasis placed on treatment of the disease, as in Western medicine, Ayurveda treats the whole body through herbs, diet, exercise, and some lifestyle recommendations. Since access to healthcare facilities is limited in Jamkhed and most of rural India, locals often rely on herbal medicines to cure ailments. Four commonly used medicinal trees are: Tamarind, Indian gooseberry, Drumstick, and Neem. The CRHP demonstration farm in Khadkat grows these four medicinal herbs. When training sessions take place, the local farmers in attendance learn the health benefits of these natural medicines. As its name suggests, the Indian gooseberry is indigenous to India. When extracted from the fruit, the juice contains a high percentage of Vitamin C. Used primarily as a tonic, it does wonders for the stomach during constipation. Azadirachta indica, commonly known as Neem, is an evergreen tree known for its myriad medicinal qualities. The oil extracted from the seeds is used to stop infections of all kinds. Clinically, it can be applied to cuts or wounds as a natural disinfectant. 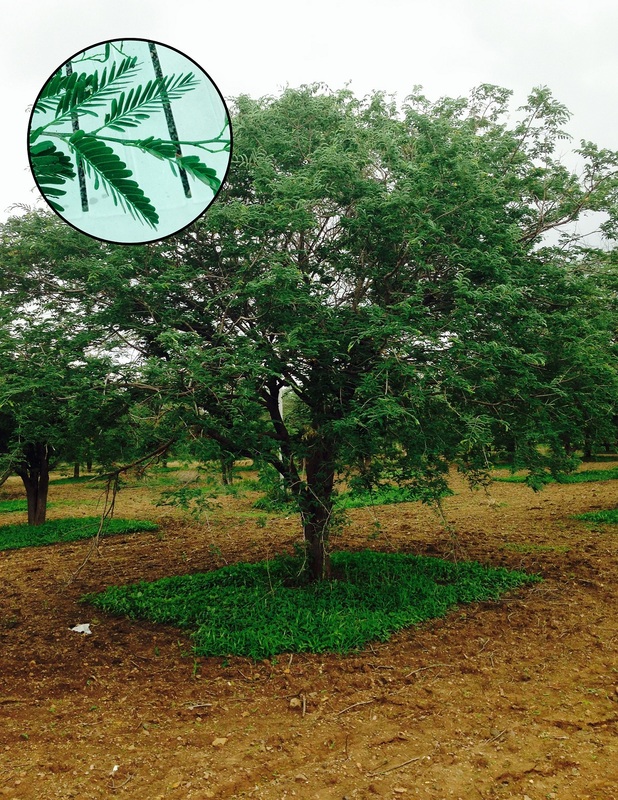 Many farmers plant Neem trees between other crops to prevent infections and use a combination of cow urine, chili powder, and Neem as a natural pesticide. The leaves from the tree are put in grains being stored to keep them fresh and prevent diseases from spreading. In rural India, where filtered water is not available, locals use the seeds from Muringa oleifera (commonly known in India as Drumstick) to purify water. The natural purifier provides an alternative to salts, iron salts, and synthetic polymers that could be harmful to the environment and human health. This method of purification has been used since the ancient Romans, Greeks, and Egyptians. Currently, the farm at CRHP makes teabags filled with the drumstick seeds, which are sold locally for water purification. Rich with iron, the Drumstick leaves are given as a nutritional supplement to women with anemia, and the Drumstick fruit is used in curry dishes around Maharashtra. Used more commonly as a spice in Indian cooking, Tamarind (shown in photo) is high in iron, thiamin, and tartaric acid, which acts as an antioxidant. But, medicinally Tamarind can be used as a laxative. Within the past year, CRHP has increased its emphasis on agriculture and the development of Khadkat farm. Not only is the goal of CRHP to offer a drought relief training center for farmers throughout Maharashtra, but also to teach them about medicinal plants and organic farming.